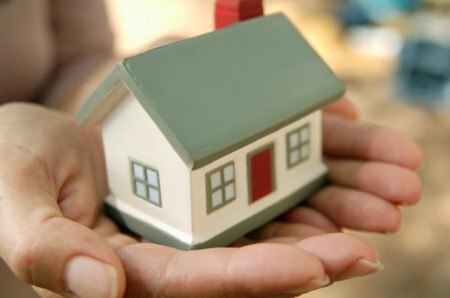 What Exactly are Low Doc Home Loans? These are special types of home loans that require low documentation. These are flexible solutions that cater for those who cannot be able to produce any job documents. These may include contractors, freelancers and other personnel who work in places that are not guaranteed of regular jobs. Not everyone else receives the benefits of the low documents loans however. One must have income and assets even if they don’t have financial statements, tax, returns or pay slips. This is to prove that they have the capability of repaying the home loan back. Declaration documents are used here for clients to state the amount of money they make at their jobs. Lying is however not allowed because the home loan lenders still determine your credit score. This is to make sure that no money will be lost without repayment. What are the Documents required for Low Doc Home Loan Application? Low Doc Loans are not associated with much documentation. This is because in real sense, the documents are not there. However, application process will necessitate some documents to at least prove that one is legible of a loan. Some regulatory bodies for credit protection must verify that one is capable to receive a home loan. Together with a declaration document, there are some other necessary documents. These can include business activity statements, accountants’ letter and other bank statements previously. Not every lender will follow the same policies for giving out these loans. You therefore need to select the best with the requirements you can meet. Who is a Good Candidate for Low Doc Home Loans? These loans are not meant for everybody. They are specifically provided for those who are not employed but still have some income that can support loan repayment. To be a good candidate, you need to prove this. If the traditional lending methods are followed, such people like freelancers and small entrepreneurs could not access home loan services. These together with the other workers who don’t have regular jobs are the most suitable guys to receive these loans. Even such, however, need to be filtered out to get the most suitable candidates. Lenders will require certain different requirements before one is considered a good candidate for the loan. Your credit history is essential because the lender needs to know whether you can afford it. Are Low Doc Loans Cheaper than Other Home Loans? Just because these loans are meant for those not listed as working class does not make them any cheaper. They are even charged higher than the normal home loans. These types of loans are very great for those self-employed guys. It is however wise to think twice before going for them. They can be expensive to you if you don’t plan accordingly. Go for the loan calculators to determine if you can afford it. You can wait until you have sufficient deposits to avoid paying higher LMI premiums. This is because the lender sees it as a more involving risk activity to give low doc home loans rather than the other regular loans.